Whenever we proceed from the known into the unknown we may hope to understand, but we may have to learn at the same time a new meaning of the word “understanding”. Werner Heisenberg, Physics and Philosophy: The Revolution in Modern Science. Some of the following descriptions and explanations of interference may sound bizarre, and at times unbelievable to many people. It's not our intent to generate fear, or perpetuate any myths. In fact, our intent is to create some balance on the subject. We want to help people recognise we are all multi-dimensional energy beings, with the potential to interact with other forces. If this interaction is without permission, we describe it as inter-dimensional interference. All I ask is that you keep an open mind. Within the more unconventional healing modalities and esoteric practises, there is often a reference to “entities”. But what are entities, and do they really exist? From our experience external forces do have the potential to impact on our life journey. It would certainly simplify our work if we could place all such forces under the one label, but unfortunately it's not that straight forward. When you delve into what we are as humans, you begin to realise the complexities involved. You also begin to recognise that most of what practitioners call entity attachment are actually self created. Having said that, there can be the involvement of external influences. The level of that involvement and the impact created, can vary enormously. This is why we refer to such forces as inter-dimensional interference rather than the narrow focus on entities. So let's begin with a definition. Interference could be described as any influence that limits, distorts, or openly disrupts the life experience or behaviour of a being. Crossing multiple planes of reality, many of these influences can move or operate across multiple dimensions to affect a person. This is regardless of whether or not the person is aware of that interference or believes in the existence of such an influence. Inter-Dimensional Interference covers a broad range of influences affecting our human journey. This of course includes the phenomena of “entities” which in itself is an all encompassing term some people us to describe various external forces or phenomena. These external forces commonly manifest into an entity because we allow our imagination to give them form. The spectrum of belief in entities varies between the existence of snarling, manipulative, beasts at one end, to complete non-belief at the other. There are some who refer to external forces as misguided energies, which is fair enough. In the extreme, there are therapists who can find an “entity” under every bed, and attached to every person they meet. It seems it's their sole purpose in life to help rid the planet of such nasty creatures. Then there are practitioners who totally disbelief in such phenomena and yet place all their faith in the angelic realm. But for those who disbelieve in any external forces, consider this for a moment. Everything has a resonance at a particular frequency which we may or may not perceive, depending on our own unique abilities. Many believe that beings in the angelic realm interact with us and work with us on a daily basis, but we can't perceive them due to their higher rate of vibration. There is also the belief in Guides and Gatekeepers who help us along the path of life.But for those who disbelieve in any external forces, consider this for a moment. Everything has a resonance at a particular frequency which we may or may not perceive, depending on our own unique abilities. Many believe that beings in the angelic realm interact with us and work with us on a daily basis, but we can't perceive them due to their higher rate of vibration. There is also the belief in Guides and Gatekeepers who help us along the path of life. If you accept this, and not everyone does, then you must also consider the potential for other forces or energies to surround us that are not perceptible. You may think you have never encountered them, but that does not negate their existence or their influence. Everything is energy including our thoughts, and there are various aspects of us that resonate at different rates. We are after all multi-dimensional beings. Yes, a big chunk of us is classed as low vibration and three dimensional. But there are aspects of every person that actually exist in the angelic realm or dimension, and every other dimension in between. Our feelings and our thoughts all resonate at different rates, crossing different dimensional planes. We're not just hairy bags of water as Dr Michael Colgan likes to describe humans. So what does this mean in regards to interferences? Negative thoughts, emotions and intent, all resonate at a particular vibration. This vibration tends to coalesce into what some term as fourth dimensional energy. It's basically the chaos of the world that has no specific form or body, but coalesces due to mutual attraction, all resonating around a similar frequency. It's all around us and part of us, and it's this chaos that offers the potential for some energies to take form in co-creation with us. In other words, we create them. While considering the follow information we need to remember the Universal Laws, because we are all energy beings. 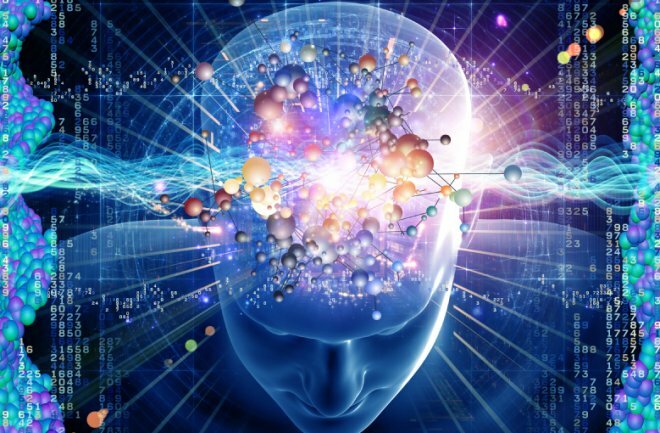 Everything is energy, including our thoughts, and everything has the potential to affect our energetic biofield. Everything is energy, including our thoughts. As multi-dimensional energy beings, it's possible for our energy flow to become blocked or restricted for many reasons. Quite often a blockage occurs due to an experience we decide is a "bad" experience. That energy blockage or disruption then gets attached to the thought or experience of a particular event in time. We also commonly make limiting decisions or form limiting beliefs based on those experiences. Now every time you think of that experience or event, it tunes you into the disruption again, and all the physiological and emotional reactors are triggered whether you like it or not. But there's more! If you have an emotion trapped in your body from such an event, you will naturally attract more of that emotion to you. Wherever a trapped emotion lodges itself, the surrounding body tissues tend to fall into resonance with its vibrational energy. This is known as entrainment and was first explored by Dutch physicist Christiaan Huygens in 1666. Until that trapped emotion is released, you will continue to be influenced by it. This then meets our definition of interference. The more trapped emotions you have, the more negative energy you are radiating. This is why positive thinking and self help programs are not always successful, and the Law of Attraction may not be working for you in the way that you would like. It's very likely that you are already familiar with this concept. After all it's nothing new, as Psychoneuroimmunology has been explored since 1975. What is often not realised is that these trapped emotions crystallise in the body to become the cause to a number of effects. One effect is the creation of a disease. No prize for guessing that one. Another effect is the creation of a separate entity or aspect in its own dimension. We feed so much energy into a limiting emotion or belief that the crystal structure grows to eventually become a life form of its own. We simply refer to this as an aspect of the client. It is created by, and part of the client, but can become very controlling as a form of protection. Beliefs and decisions can form into limiting aspects. These aspects and other energy blockages will resist any attempt to remove it. I have witnessed this many times while working in the modality of energy healing. It is not uncommon to identify energy blockages in the body and see it shift just at the moment you move in to release it. How long it has been trapped in your energy field, and how much energy you feed it, will determine how much it interferes with your existence. The aspect needs to receive healing as does the person as a whole. So inter-dimensional interference can be created by thought forms, emotions and our own belief systems. Consider also, these same influences could have been created by you in a previous life, and not having been released will grow and interfere with your existence, life after life. You may have also inherited similar interferences that have come down the genetic, hereditary line of your ancestors. This is what most people do not realise or commonly accept. However, all is not lost as you are a multi-dimensional being, and what you create you can also release. The term "New Age" describes a movement in western culture to explore spiritual matters without the constraints of any set religious doctrine. Although it contains many of the same elements found throughout different religions, it is not an actual religion in itself. If the New Age has confirmed anything, it's that we are multi-dimensional energy beings, and we actually interact with many other life forces beyond our three dimensional reality. Some of these life forces may be benevolent and some others may not. These "other forces" are commonly labelled as entities. They are not often spoken about, but they do exist. Some of these forces are created through our thoughts and language as already described, while others come from elsewhere. Who or what are these “elsewhere forces” is open to debate. Some people will give you very specific names and descriptions, but most everyone you speak to will have a different view. Different cultures also have their own concepts of entities and invisible forces. We have interacted with numerous types of external forces while working in the field of energy healing. We have come to recognise there are many levels of consciousness or intelligence to be encountered within these energies. Some indeed could be described as demonic and I describe the concept of demonic possession on another page. Whatever their origin, these forces or entities if you like, can have a very negative impact on a person's life. They can be the cause of untold misery and suffering for some individuals. They often operate covertly, seeking to manipulate people into outlooks or behaviour that keep them away from their true path in life. You may believe you are exercising your Free Will, and you are in a way, but whose game are you really playing? So how do we know all this? Experiences in energy healing introduced me to the invisible side of our existence. On a number of occasions I have dealt with parasitic interferences that entered the energy fields of people during times of stress and trauma. Through this therapy you get to see how many lives and how many opportunities for entity entrapment exist. There are so many different manifestations of entity control that it would be impossible to cover them all here. I will give just one example from our case files. 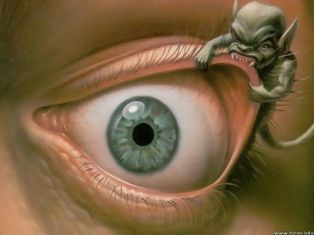 A thirty year old man approached me for help to combat persistent nightmares he experienced since a young boy. They had become very debilitating and he would often wake at night to a choking sensation. He had become exhausted and very frightened. What we discovered were a number of external forces using him to experience life in this dimension. Particularly at night when he entered a certain sleep state he was like an open door. With a little investigation it was obvious he had experienced a traumatic childhood. Seeking protection and escape from his reality as a little boy, he unwittingly opened doors to inappropriate energies. Basically the external forces were invited in by agreement of entrapment. As an adult he turned to alcohol and drugs to dull the emotional pain which compounded the problem by opening more doors. It is interesting to note that these interferences seem to have been agitated by a change in his behaviour. The guy was recently married and trying very hard to be a responsible husband. 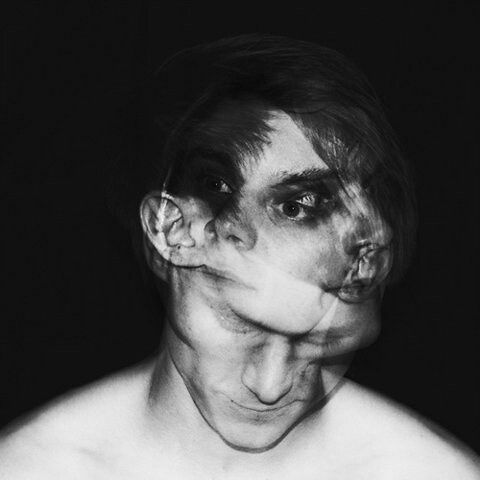 This inter-dimensional interference wanted him to carry on along a path of self destruction. We removed the interferences and closed the door by releasing the trauma. This prevented any return and the nightmares were no longer a problem. The guy was a different person experiencing sound sleep and "normal" dreams. This is one example of the overt effects of interfering energies. Another client describes their experience of how their vision was affected by significant interference. You can be read Cristel's story on our testimonials page. There are many other occasions when interference is much more subtle. Religious and tribal ceremonies going back thousands of years have created opportunities for energies to interact with us in the here and now. 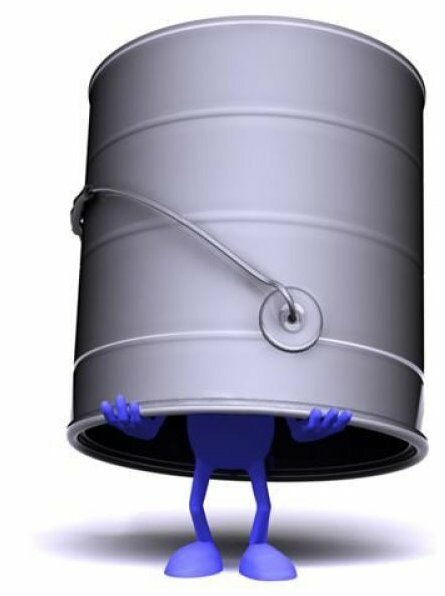 Sites of weakness or trauma can create openings for some interferences which can then aggravate a problem, but are not necessarily the direct cause. When dealing with inter-dimensional interferences, Lore and the Universal Laws offer us some rules to the game. According to these rules, no matter what type of being or entity exists, it needs your agreement to interact with you. Stop and think about that for a moment. It's a basic rule of the Universe that you must give your permission for any interaction. Sounds strange I know. Why would anyone invite them in? One reason is they are masters of disguise. On being discovered, I have experienced one or two speak in the most angelic, childlike voices. Entities or external forces can and will, attempt to trick you into giving permission, and may physically interact with non-living things in an effort to obtain their desire.There are times however, when outright violation of free will occurs but the laws still apply and you can do have recourse when this occurs. The key is not to open doors to interference you can't close. Drugs and alcohol open those doors. 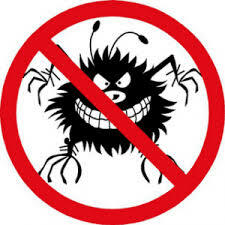 And just because you have never used drugs or consumed alcohol don't be fooled into thinking you are immune. Stress and trauma reduce our resistance especially in childhood. As previously mentioned, more subtle openings include free will entrapment. This is through the agreement of initiation or ritual, or to invoke external forces. Swearing an oath or declaring your allegiance to any institution, organisation or religion, places you in their game. You then become subject to their rules of the game, which may have originally been created back in the dark ages. The associated, underlying forces, may well be disguised as something quite acceptable but without good intent. So please be cautious of what you agree to. Awareness is your best defence. Avoid drugs, excess alcohol, gurus, religion, naive channeling and any sort of rituals, especially with symbols. When it comes to interference from human spirits, the common descriptive terms used include ghost, haunting, lost or entrapped souls and earth bound spirits. All of which conjure up dramatic images fit for a Hollywood movie. Due to the complexities of human existence, I have to admit it is possible for such phenomena to occur, depending on your definition. In my opinion however, most of these labels are used to describe events or experiences that involve energies that have no relevance to a human spirit or soul. Energetic memories or imprints, the memory of trauma, the human mind creating its own form to interpret an event, and fourth dimensional chaos, are the most common causes of such phenomena. This is a huge topic in itself and I don't want to get bogged down in the whole debate here. Suffice to say, direct interference from a human spirit or the soul from a deceased person is rare. There is however, an aspect of our earthly journey that for some involves coexisting with another spirit, and that coexistence can turn into interference. This is the aspect of what I term as “carrying a passenger.” A passenger is defined as a spirit or energy being that a person has agreed to carry or be a vehicle for, with the intent of completing a journey, task or desire. Passengers are usually overt rather than hidden and will overlay the energy field of their host. Once ensconced they are sometimes reluctant to leave or do not know how to be released from their host.In some cases they can be very manipulative. It needs to be acknowledged that some form of agreement exists between the two parties and was entered into through free will, for some mutual benefit. Having said that, it's likely there may be exceptions to the rule. We do occasionally recognise a client is carrying or coexisting with a passenger for whatever reason. Most of the time the person is blissfully unaware of the existence of their spirit companion. This may continue lifelong or until the agreement or contract ends and the passenger moves on to the next phase of it's journey. However, sometimes there is a need to clear the passenger as it is adversely affecting the host in some way. Let's look at the more sensational type of inter-dimensional interferences. 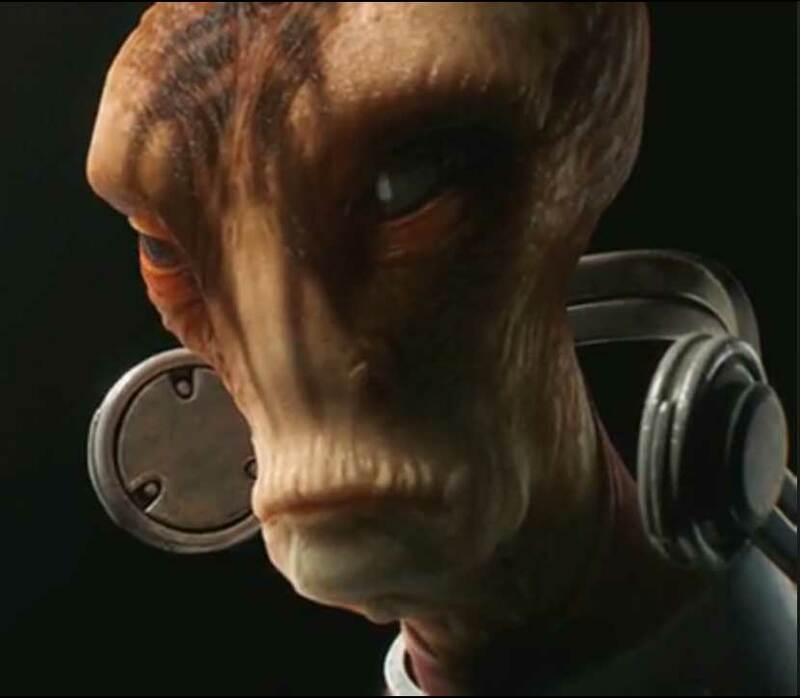 Let's look at the ET's or aliens with all their different names and descriptions. Conspiracy theorists from around the world would have us believe that we are being covertly controlled by evil races from other dimensions or planets. I tend not to buy into the conspiracy debates. But yes, it is possible to experience interference from some other beings...it does happen. I have worked with clients that have been part of experimentation by other races. I have also worked on implants within the biofield of people. This is a very challenging subject and I can't cover all the aspects here. I just want acknowledge that yes, it is possible to be covertly influenced by beings from other worlds. BUT in my experience it is rare. Having acknowledged that, I would like to add some balance to this phenomenon. We are not alone in this universe, and to label everything that does not look or act like us as evil, is a very typical human trait. Other multi-dimensional beings and inter-galactic travellers do exist. Chris and I have interacted with these beings in some form or another from both sides of the fence. All I can say on this matter is that for every one that interferes with a person’s existence, many others are there helping to correct it. It's also worth noting that other inter-dimensional beings can in turn, be subject to interference. This is not just a phenomenon relegated to the human experience. ET's and the perceptions of abductions have manifested strong negative sentiments toward what is unknown. I'm not denying the abduction phenomenon; we have worked with many people who've had contact with extraterrestrials. The simple fact is that in the majority of cases of such interference, there has been a level of consent. Sometimes the consent has been through agreements of entrapment, but it's still consent. But let's not get paranoid here, any consent given can also be withdrawn. If there has been an outright act against free will, there is recourse for that. Obviously there is much that mankind does not understand, and I just caution everyone not to blindly accept the conspiracies that seem to abound at this current time. Most people are unaware of the presence of non-physical energies and beings that can actively interfere with their energy and emotions, as well as the environment of places such as a house or room or land. Beliefs and customs all play a role in reinforcing inter-dimensional interferences. Many cultures hold strong misguided beliefs about ghosts, curses and other entities. That's not to say these phenomenon do not exist, it's just that ignorant beliefs allow for greater influence. Again I say, intelligent awareness is your best defence. So what are we to make of all this? The main point to remember is that we are multi-dimensional beings and awareness is your best protection. Of course, if you feel you may be suffering from some form of interference, then speak to a practitioner who has experience in these matters. Better still, why not find out if what you are practising puts you at risk? All interferences that may be affecting you can be cleared. It is a most fascinating area of work. Clients often ask us about protection from psychic attack. 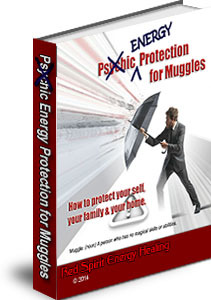 In response to this common question and others, we have collated our various techniques for clearing and protection into one eBook, Energy Protection for Muggles. These are techniques that can be applied to yourself, family members and even your home for a holistic approach to energy protection. It should be noted that the techniques offered in this eBook are not designed to deal with pre-existing, significant interferences as described on this page. Such interferences would require specialised intervention to clear in a safe manner. Two other pages worth considering in regards to external influences are, Extraterrestrial Implants and the page describing Demonic Possession.